In a talk organised by the School of Transnational Governance, Justice Luis Roberto Barroso touched on his experiences as a lawyer, a professor, and — since 2013 — a Justice of Brazil’s Supreme Federal Court, as well as his philosophy on the role of the judiciary. 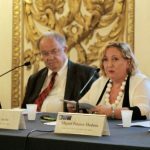 In a September event held in Florence’s Palazzo Medici Riccardi, leading figures from religion, government, diplomacy and academia met for a panel discussion on the problems faced – or perhaps caused – by contemporary religion in Europe. 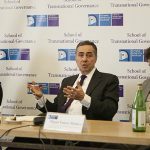 The roundtable took place as part of the Mediterranean Dialogues series organized by the Italian Ministry of Foreign Affairs and International Cooperation and the Italian Institute for International Political Studies. The dialogue series is aimed at promoting a positive dialogue on Mediterranean issues. As dignitaries gathered in Belfast last week to commemorate twenty years since the Good Friday agreement was signed, ending over three decades of bloody sectarian conflict on the island of Ireland, a Brexit-shaped shadow loomed large. 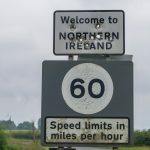 According to Professor Brigid Laffan, Director of the Robert Schuman Centre for Advanced Studies, London’s apparent reluctance to take the Irish problem seriously could lead to the unravelling of Good Friday and the reappearance of violence on the border. 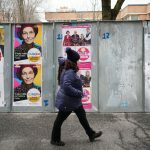 After a fraught campaign, Italians went to the polls on 4 March. The results have confirmed the decline of the country’s traditional political elites, and consolidated the rise of populist and anti-establishment parties that are threatening to redraw Italy’s political landscape. 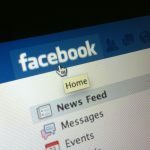 As coalition horse-trading begins, Fabio Bulfone and Lorenzo Cicchi of the Robert Schuman Centre for Advanced Studies try to unpack what happened, what it means, and what comes next. For all its travails in recent years, the European Union has generally been adept at responding to crisis. 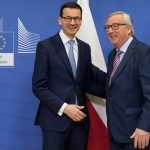 However, creeping authoritarianism in eastern Europe, and the EU’s subsequent inability to muster a coherent response, is posing a unique and threatening challenge to Brussels’ authority. Speaking at an event hosted by the School of Transnational Governance in January, Kim Lane Scheppele – the Lawrence S. Rockefeller Professor of Sociology and International Affairs at Princeton’s Woodrow Wilson School – argued the contravention of the rule of law by aggressive governments in Hungary and Poland in particular are exposing an uncomfortable reality for the EU: it seems unable to discipline its own member states. 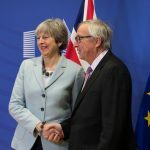 Despite the fogginess of the British government’s approach to Brexit, there is little desire among the electorate to see the referendum played out again, according to Matthew Goodwin, a politics professor and Brexit expert from the University of Kent. Speaking at an event organised by the Migration Policy Centre at the Schuman Centre last week, Goodwin pointed out that there has been little change in public opinion towards Brexit in the eighteen months since the referendum. In fact, if anything, Leavers and Remainers’ positions have hardened. 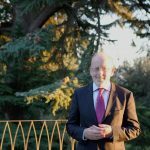 After delivering his lecture at Villa Schifanoia, Goodwin sat down with EUI Times, to discuss what comes next for Britain and the EU, and how we got here in the first place. Matthew Goodwin is Professor of Politics at the University of Kent and a Senior Visiting Fellow at Chatham House. His new book, ‘Brexit: Why Britain Voted to Leave the European Union’, was published earlier this year. Patrick Honohan was delivering a lecture for the Florence School of Banking and Finance on ‘Central Banking in Europe Today: Over-Mighty or Under-Powered?’ on 27th November. Honohan was Governor of the Central Bank of Ireland and a member of the Governing Council of the European Central Bank from September 2009 to November 2015. He is an honorary Professor of economics at Trinity College Dublin, non-resident Senior Fellow at the Peterson Institute for International Economics in Washington, DC and member of the Scientific Committee of the Florence School of Banking and Finance. The event was made possible by the support of Fondazione CR Firenze. 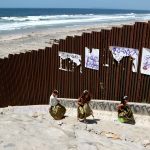 The world is in the grips of a ‘racism emergency’, according to James Renton. Typically for a historian, he believes that it is essential to look back in order to plot a route forward. In 2017, Europe commemorates two major milestones: the 500th anniversary of the Reformation, and the centenary of the Balfour Declaration. Both these landmarks, Renton argues, can teach us a great deal about modern-day racism, and governments’ responses to it. James Renton is a Visiting Fellow at the Robert Schuman Centre for Advanced Studies. 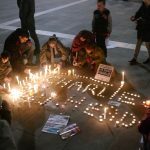 His new book, ‘Antisemitism and Islamophobia in Europe: A Shared Story?’ (co-edited with Ben Gidley), is available now.